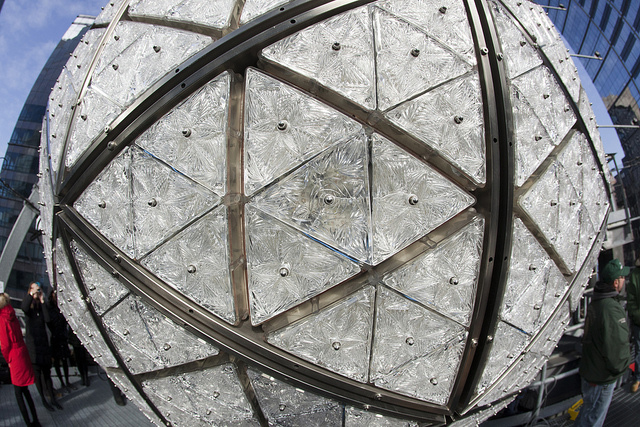 The 2014-2015 Waterford Crystal Times Square New Years Eve Ball. 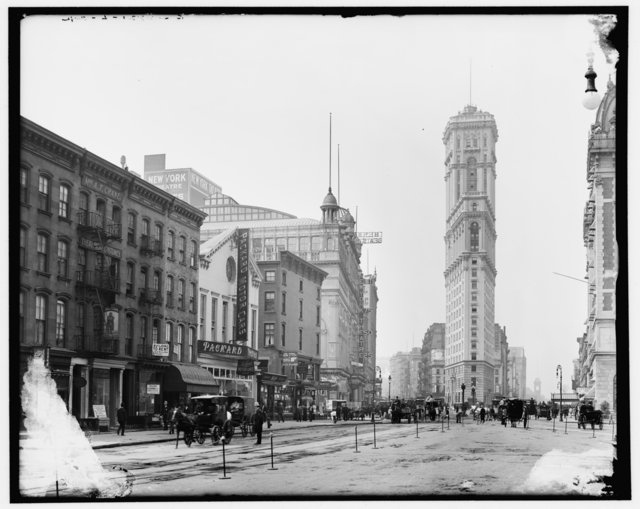 Image: timessquarenyc.org. 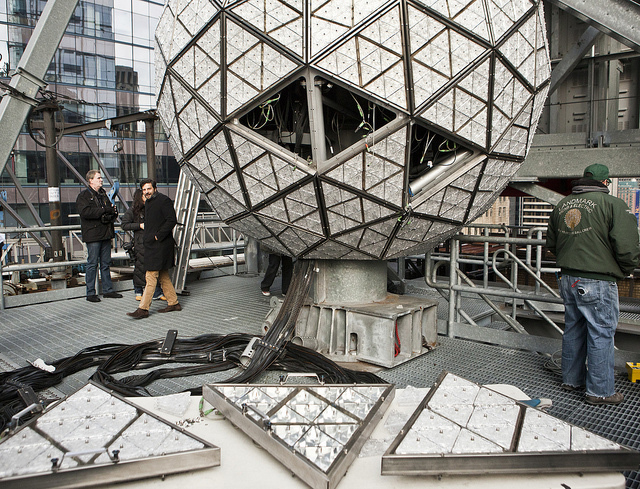 For the 18th year in a row, Waterford Crystal will be the focal point for over one billion pairs of eyes as the Waterford Crystal Times Square New Years Eve Ball begins its descent at 11:59 New Years Eve. 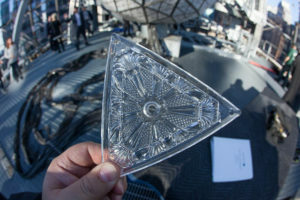 The ball, the current iteration of which has been in place since the 2007 centenary of the Times Square ball, is a collaboration between Waterford Crystal and Philips Lighting featuring 2,688 Waterford Crystal triangles illuminated by 32,256 Philips Luxeon LED lights. 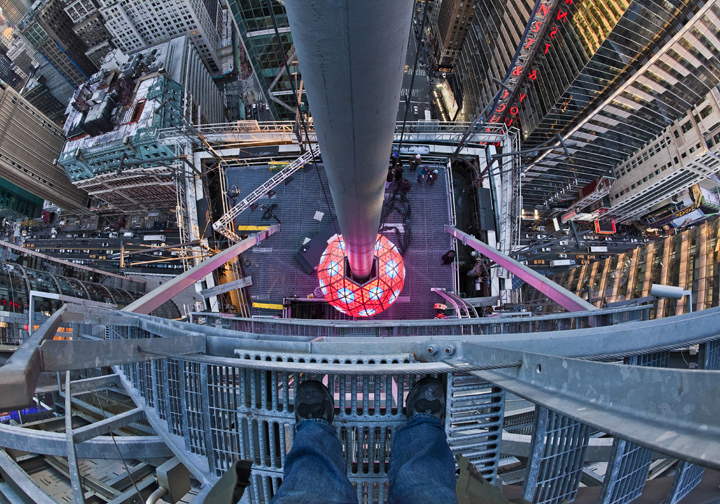 The frame, as it has been since 1955, is aluminum. 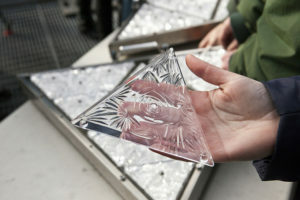 In 2015, 288 of the Waterford Crystals will debut the new “Gift of Fortitude” design, “utilizing diamond cuts on either side of a crystal pillar to represent the inner attributes of resolve, courage and spirit necessary to triumph over adversity,” according to the Times Square Alliance. 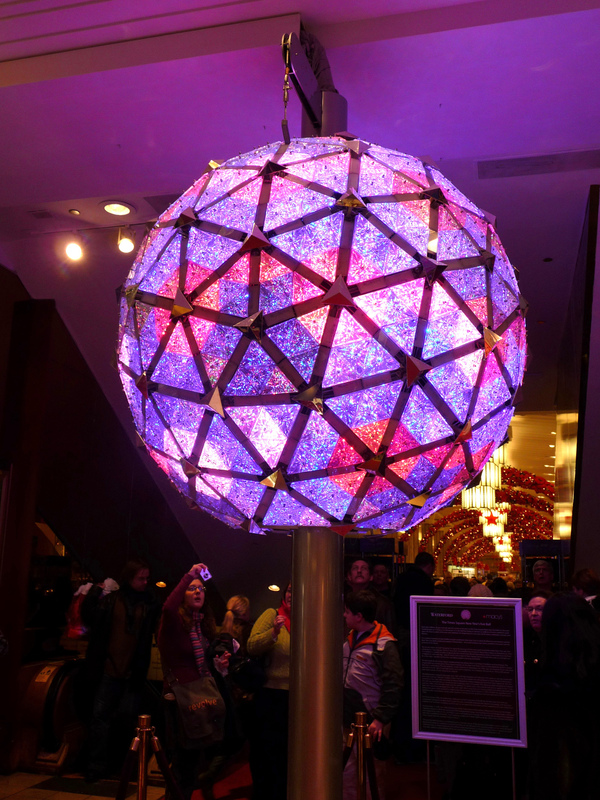 Each LED module contains 48 Philips Luxeon Rebel LEDs – 12 red, 12 blue, 12 green, and 12 white for a total of 8,064 of each color, making the ball capable of creating a palette of more than 16 million vibrant colors and billions of patterns. 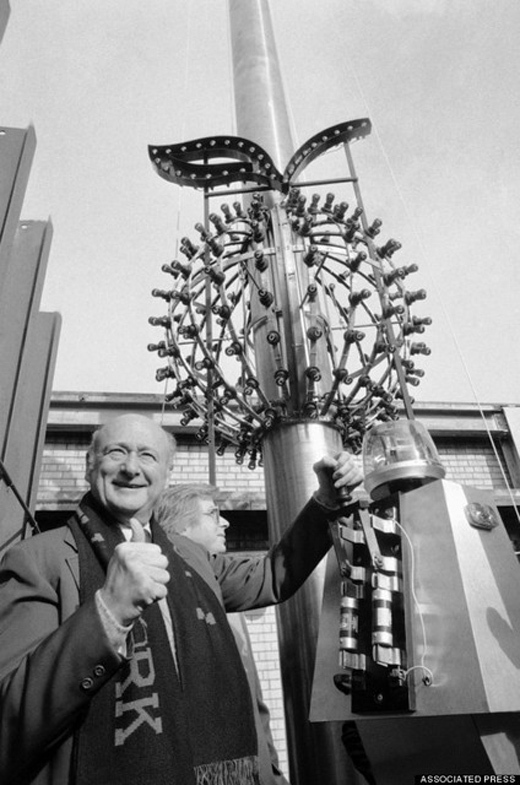 In 1920, a 400 pound Ball made entirely of wrought iron replaced the original. 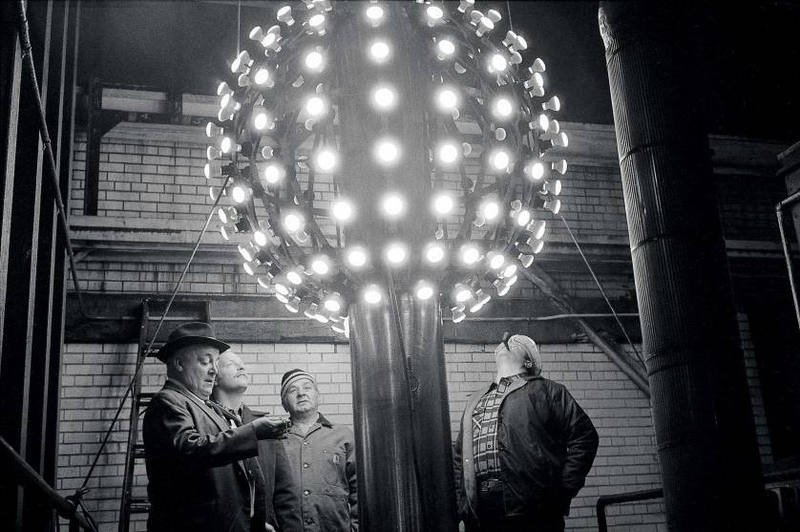 In 1955, the iron Ball was replaced with an aluminum Ball weighing a mere 150 pounds. 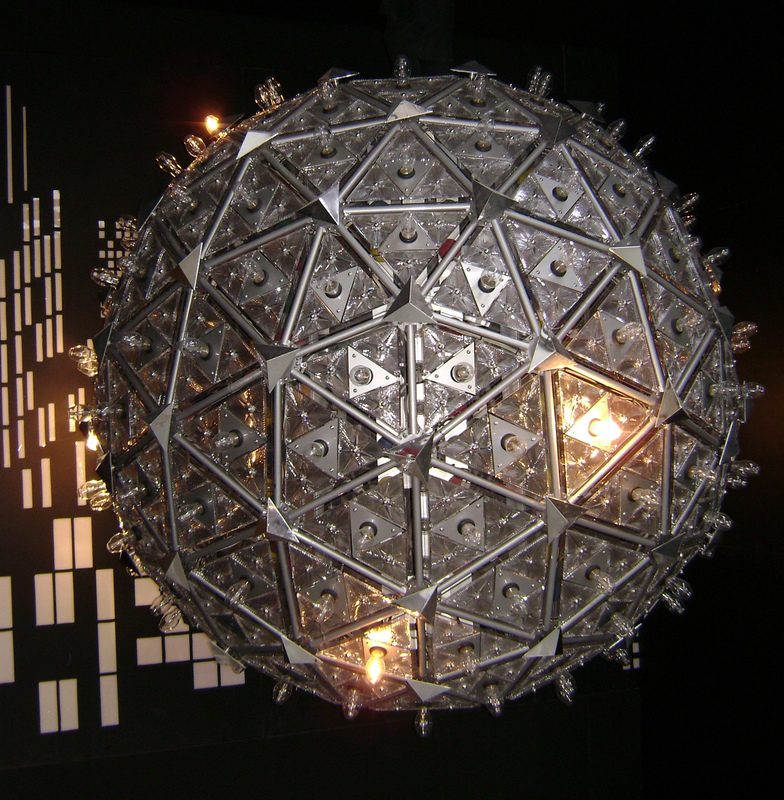 This aluminum Ball remained unchanged until the 1980s, when red light bulbs and the addition of a green stem converted the Ball into an apple for the “I Love New York” marketing campaign from 1981 until 1988. Very intricate work, I would say.